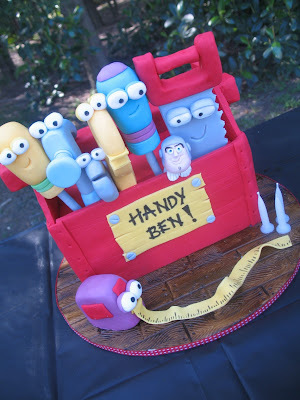 Blissfully Sweet: Handy Manny Toolbox Birthday Cake for Ben! 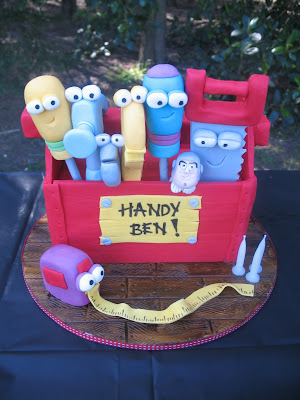 Handy Manny Toolbox Birthday Cake for Ben! The other most anticipated times of year in my calendar, my youngest son Ben's birthday! Apart from balloons and coathangers ..... Ben loves to watch Handy Manny and Toy Story, with his favourite character Buzz. I have done a number of Buzz and Toy Story cakes, so wanted something different and what better than those Handy tools??!!!! So when making up my drawing, I decided to have Buzz as a special guest star! Ben picked him out straight away! We only had a small picnic down at the park, but the day was gorgeous, the company was fantastic and the birthday boy .... well look at his smile! 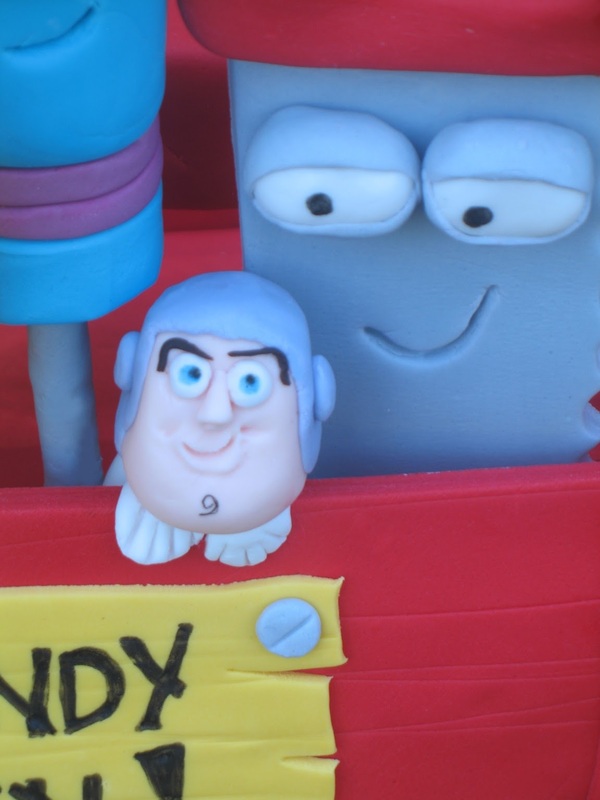 Hi there Buzz! 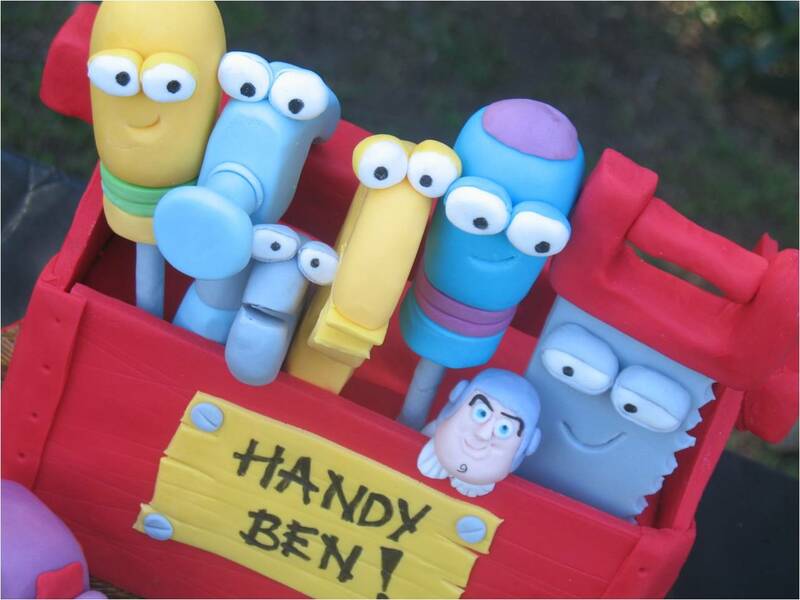 I bet these guys could've fixed your space ship! and there is the smile!! Where has the time gone?? He is still my cutest little man ever. How did I get to be sooo lucky to be surrounded by such wonderful and gorgeous men??!! 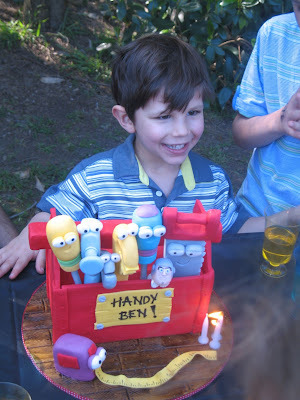 Happy 3rd Birthday my gorgeous Ben! !